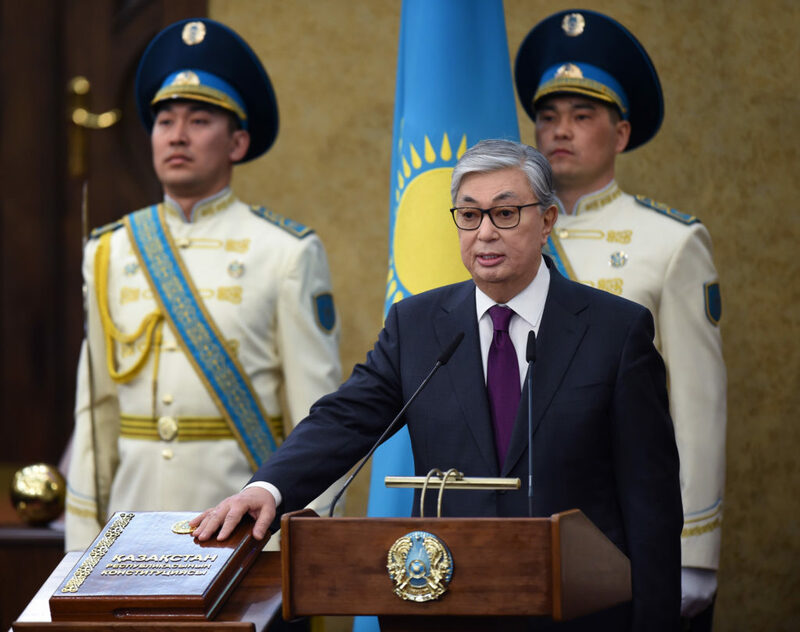 ASTANA – The new President of Kazakhstan, Kassym-Jomart Tokayev, was sworn in March 20 during a joint session of the chambers of the Kazakh Parliament. Tokayev was sworn in following the surprise resignation March 19 of Kazakhstan’s founding and only previous President Nursultan Nazarbayev. According to the President, against all odds that Kazakhstan faced in its early years of sovereignty, geopolitical challenges and negative outlook, Nazarbayev succeeded in building a globally recognised state and implementing reforms in all spheres of societal development. “As a long-time ally of Nursultan Nazarbayev, I can say that he devoted his life to a noble service for the well-being of our people,” said Tokayev. Overall, the new President thoroughly narrated the historic decisions and greatest outcomes of Nazarbayev’s presidency over the last 30 years, including those aimed at enhancing regional and global security, peacemaking and mutual confidence. Therefore, the President called on the people of Kazakhstan for cementing the political legacy of Elbasy (Kazakh for Leader of the Nation) and giving him the honour he rightfully deserves. Such a measure would help society, and particularly the youth, to be able to justly evaluate Nazarbayev’s work, he said. As a step towards recognising Nazarbayev’s name, Tokayev proposed to rename the capital city from Astana to Nursultan; erect a monument to the First President in Astana and rename the central streets in all the cities of the country after Nazarbayev. He has been also awarded a status of Honourable Senator of the Parliament and received at the end of the ceremony, the highest merits of the nation Halyk Kaharmany (Hero of the Nation) and Yenbek Eri (Hero of Labour). “Thus, we perform the transfer of power in a calm, non-conflict situation, which is a powerful factor in ensuring domestic stability and strengthening the international prestige of Kazakhstan,” said the President. He thanked Nazarbayev for entrusting him with the important role in challenging times of world development. “Aware of the scope of responsibility of the new mission, I will put my knowledge and experience to ensure the continuity of the strategic course of the First President,” Tokayev noted. “The common goal for all of us will be to preserve and strengthen the independence of our state,” Tokayev concluded.